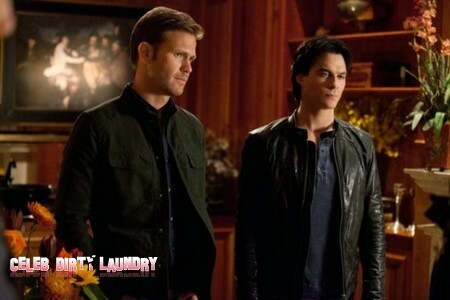 Tonight’s was the mid-season premiere of the Vampire Diaries and it was a fantastic episode. 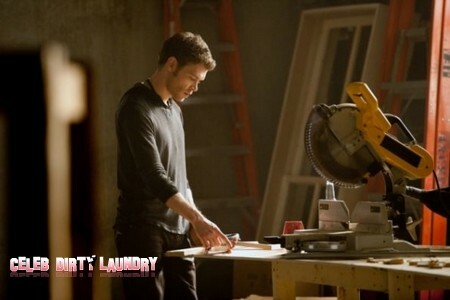 A preview for The Vampire Diaries episode 11 has been released and it is called ‘ Our Town.’ We have a sneak peek of the episode and several pics from the episode for your enjoyment. 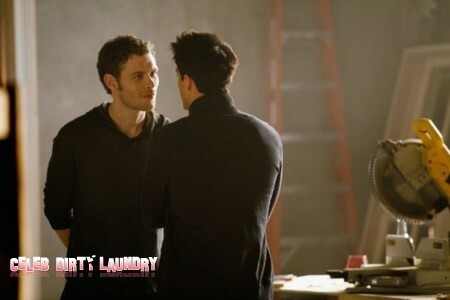 Tonight’s episode was all about Klaus up until the last few moments of the show. I have been so team Damon and was hoping that Elena and Damon would get together and tonight’s episode ended with it going in that direction. 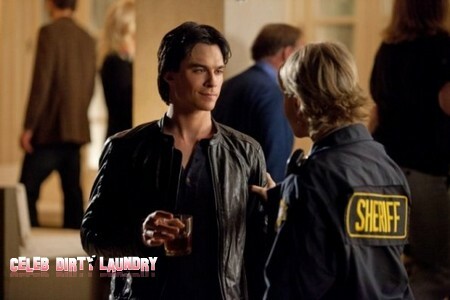 In the last minutes of tonight’s episode Damon says to Elena, “if I am going to feel guilty, I am going to feel guilty for something I did.’ He embraces her and kisses her passionately and then says goodnight and leaves.’ Loved it, if you missed tonight’s episode you can read our official recap here. 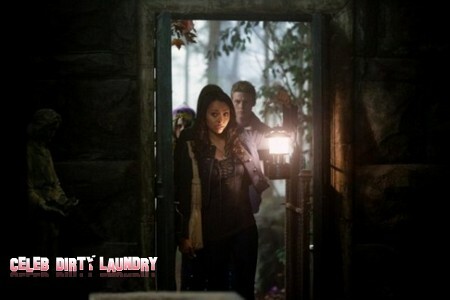 Episode synopsis: BIRTHDAYS AND GOOD-BYES – “Although Caroline (Candice Accola) is in no mood to celebrate her 18th birthday, Elena (Nina Dobrev), Bonnie (Kat Graham) and Matt (Zach Roerig) surprise her with a small party in an unusual location. 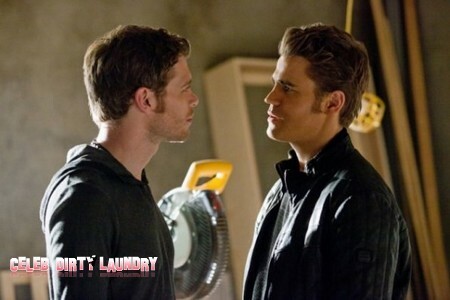 Damon (Ian Somerhalder) and Stefan (Paul Wesley) disagree on the best way to handle Klaus (Joseph Morgan), and a reckless Stefan decides to test his theory by taking things to dangerous extremes. 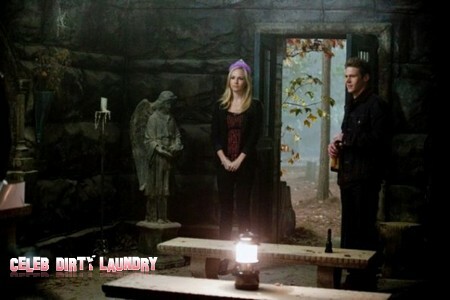 Bonnie is concerned when Elena tells her about Jeremy’s (Steven R. McQueen) new plans. At a Founder’s meeting, Alaric once again runs into Dr. Fell (guest star Torrey Devitto), who is in the middle of an argument with her ex-boyfriend, the medical examiner (guest star David Colin Smith). 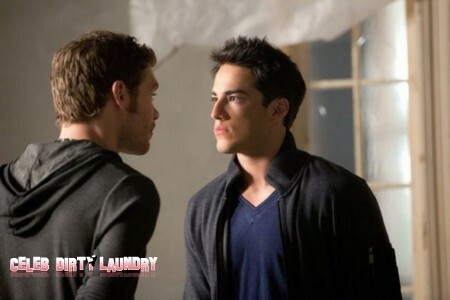 Tyler (Michael Trevino) refuses to go along with Klaus’ latest demand, and is surprised when Klaus seems to accept his decision.” Wendey Stanzler directed the episode written by Rebecca Sonnenshine. The preview of next week’s show opens with Stefan telling Klaus to get his hybrids out of Mystic Falls or he will remove them himself. Next we see Damon and Stefan and Stefan tells Damon, “To beat the villain you have to be smarter’ and Stefan replies, ‘you have to be the better villain.’ In one of the last scenes Damon is saying how Stefan is operating crazy and Elena is saying she cannot lose anyone out she loves. There is a ton of things in the preview. 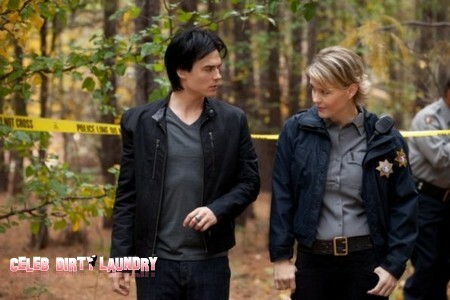 The episode airs on the CW on January 12th, 2011. Check out the preview video & the pictures below and let us know in the comments below what you think!